Richard Weekley has been active in the real estate business in Houston, Texas since 1971. 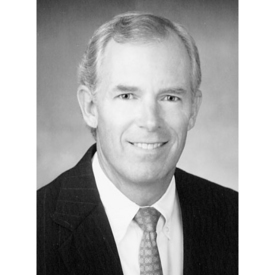 In 1973, he formed Weekley Properties, a commercial real estate brokerage firm. In 1976, he co-founded Weekley Homes with his brother, David Weekley. Weekley Homes is a privately owned, single-family home building company operating in Houston, Texas, with 2005 sales volume in excess of $1,200,000,000. In 1978, Richard Weekley founded Weekley Development Company, also with his brother, David Weekley, which he currently serves as Chairman. Weekley Development develops and operates shopping centers and other real estate investments in Houston, Texas. Weekley attended Southern Methodist University where he graduated in 1967, receiving a BA in Economics. He then served as an officer in the United States Navy, and he was a Line Officer aboard the destroyer USS Philip serving a tour of duty in Vietnam and then went to the Flag Staff of the Commander of Amphibious Forces, U. S. Atlantic Fleet. Richard Weekley and his brother David Weekley were inducted into the Texas Business Hall of Fame in 2018. Richard Weekley is a native of Houston, Texas. He is married to Margaret Neuhaus Weekley and is the father of three children. The recent report of a $54 million lawsuit against a family-owned dry-cleaning business over a pair of lost pants was a harsh reminder of the threat of outrageous litigation American businesses, large and small, face every day. AUSTIN, Texas, March 1, 2007 -- Texans for Lawsuit Reform (TLR) outlines its 2007 agenda for the Texas Legislature in the feature article "Improving the Effectiveness of Our Civil Justice System" that appears in the February issue of its publication the Advocate. To view the entire publication go to Texans for Lawsuit Reform www.tortreform.com/newsletters. AUSTIN, Texas, Oct. 18, 2006 (PRIMEZONE) -- Following today's news reports that personal injury trial lawyer John O'Quinn has made a $2.5 million contribution to a gubernatorial candidate, TLR Chairman and CEO Richard Weekley issued the following statement. The Pacific Research Institute ("PRI") in San Francisco has completed the first "U.S. Tort Liability Index: 2006 Report," a comprehensive analysis comparing the tort systems of all fifty states. After weighing 39 variables ranging from caps on punitive damages to appeal-bond caps, Texas was ranked best in the nation. Had the study been done before the 2003 tort reforms, researchers say the state would have ranked 26th. A cutting edge report just released shows that while Texas still has some glaring civil justice problems to address -- most notably the state's notorious "judicial hellholes," Texas tort reforms have strengthened the state's economy in a variety of ways and are improving the quality of life for every Texan. Gov. Rick Perry hosted the authors of a national study that links the tort reforms passed under his leadership to the state's booming economy, job market and business growth.